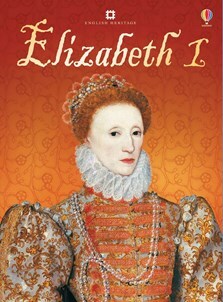 Watch a video clip about the life and times of Elizabeth I. See paintings of Elizabeth I and others who lived during Elizabethan times. Who was Queen Elizabeth I and when did she live? What did she wear and who were her enemies? These and other questions are answered with vivid, full colour illustrations and photographs on every page, and short informative text. Includes links to carefully selected websites via Usborne Quicklinks. This book helped me learn about how people in England lived in the 1500's. It also told me of how the Queen was dressed, acted and what she ate. But it was mostly about how Queen Elizabeth grew up. This book made me feel like I was living there at that time.